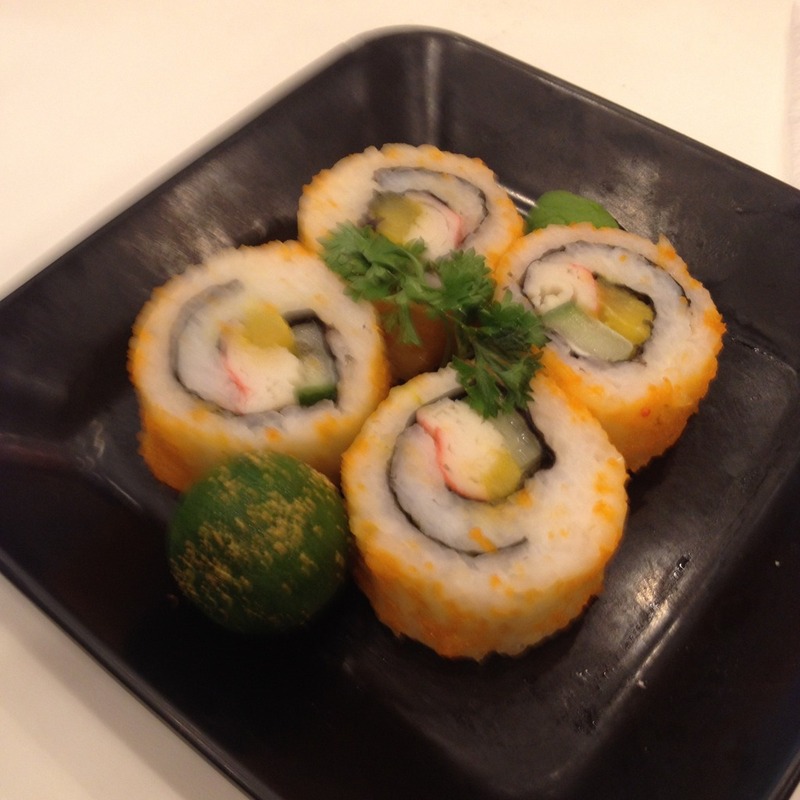 The California Maki which we got for free was fast food-grade as well, but I am not complaining at its cost of PhP 59 for 4 slices. Plus we got this one on the house. For our meal, we ordered a bowl of beef gyudon and two jumbo plates. the gyudon was spot on. Regular size order sells at PhP 139. Large orders are sold at PhP 175. Our jumbo plate orders were beef and yakiniku and beef and tempura. 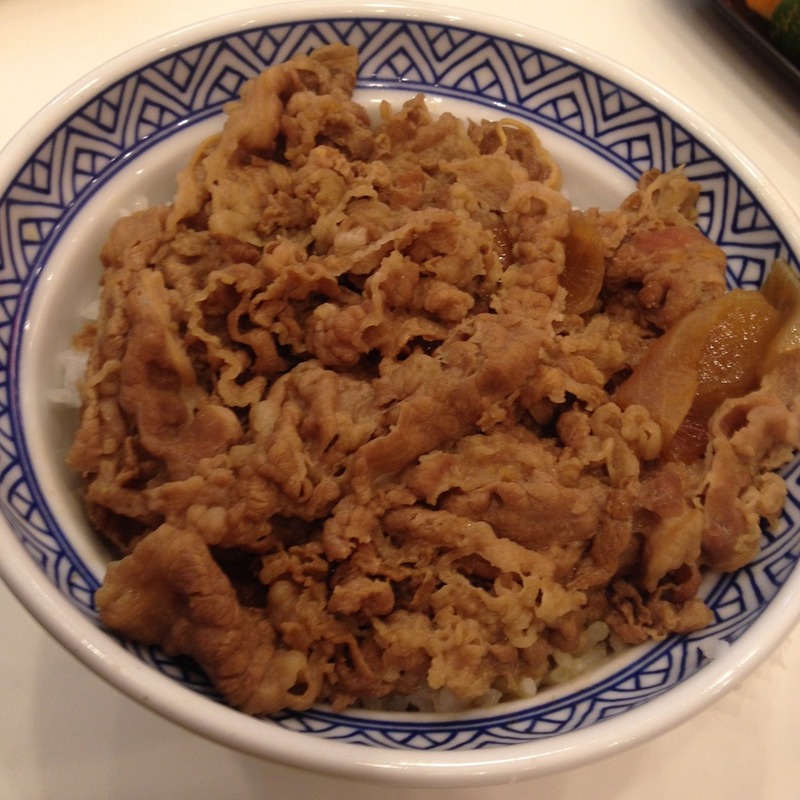 The beef and yakiniku jumbo plate was a plate of plain steamed rice topped with beef gyudon, pork yakiniku, and bean sprouts. This sells at PhP 215 per order. 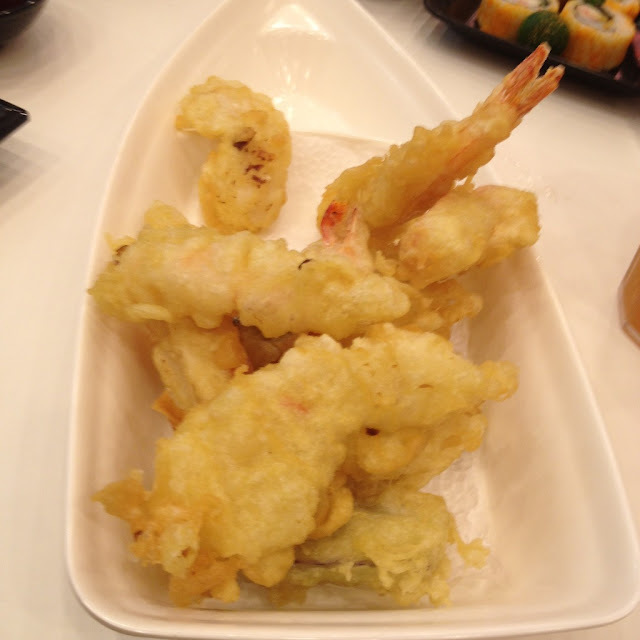 The beef and tempura jumbo plate was also served as plain steamed rice topped with beef gyudon, yasai itame or stir-fried mixed vegetables, and four pieces of shrimp tempura. As of December 2015, Yoshinoya has one branch in Cebu. It is at the Lower Ground Floor of the SM Seaside City at the South Road Properties, Cebu City. Some stores in the immediate vicinity are Krispy Kreme, Max's Fried Chicken, Kuya J Restaurant, and Cinnabon. 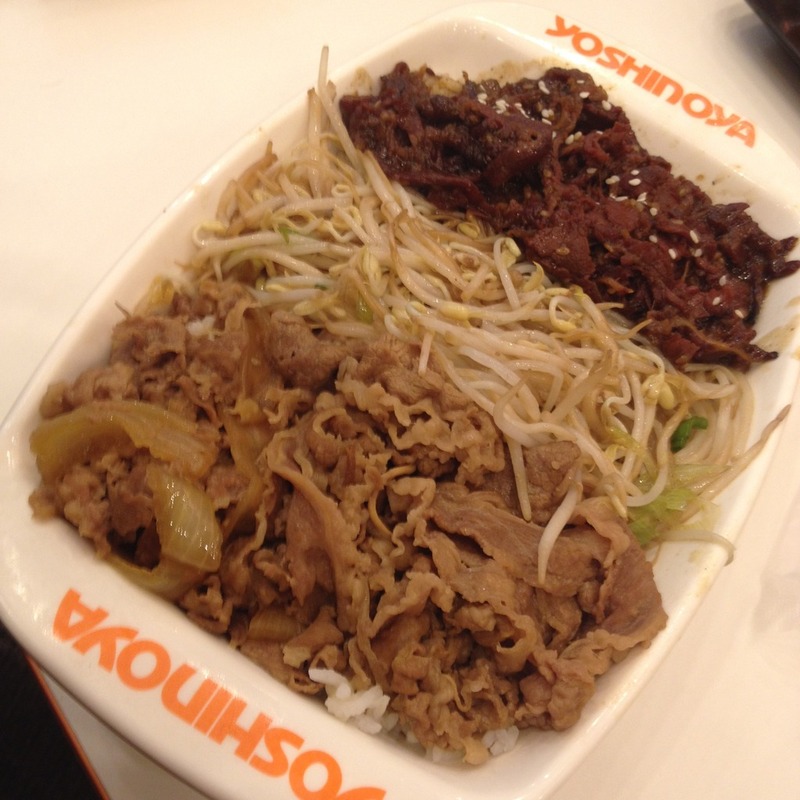 Plans to open a second Yoshinoya branch in Cebu branch are underway. This will be at Robinsons Galleria Cebu at the North Reclamation Area. 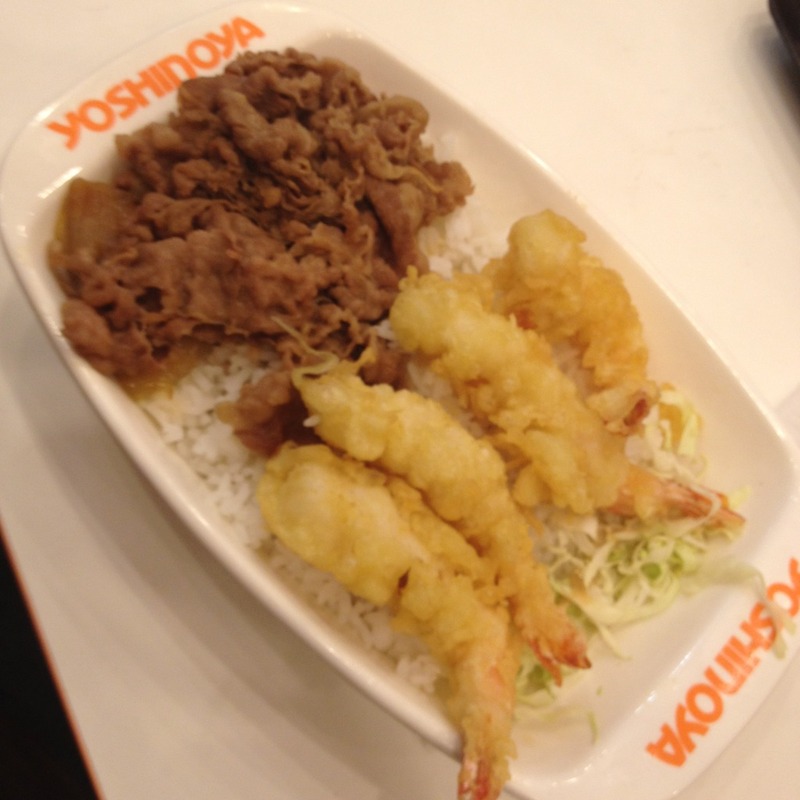 Have you tried the food at Yoshinoya? How was it? 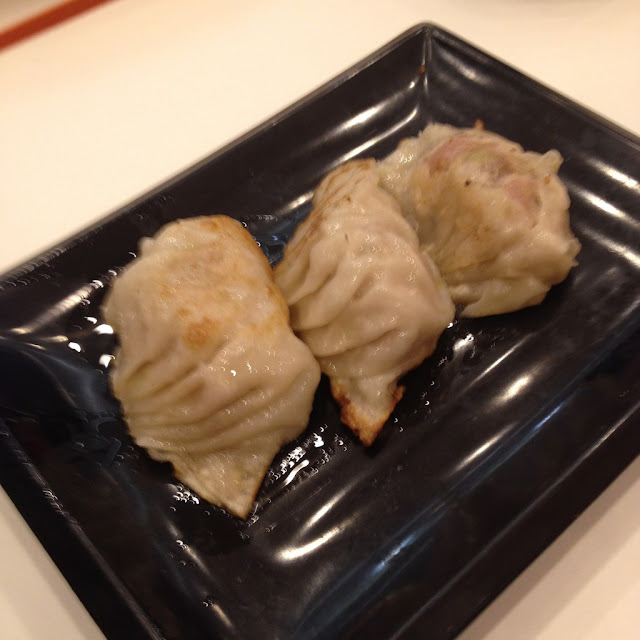 What is your favorite item on their menu? You may share in the comments below.